New members to The Cyberculturalist satellite family, Channel-B.TV and B-Reels.com will be celebrating the 2016 Halloween with George Romero's Night of the Living Dead. The Channel-B.TV Network provides more than just broadcasts and playlists; it is a growing network of blogs, sites, and online resources for streaming multimedia B-reel and public domain content. Our administrators curate, dissect, review, and even lampoon a growing collection of readily-available film and recorded works, to build a common culture of public domain works available online. Original reviews, essays, articles, biographies, and more explore these works in-depth, hopefully providing insight and relevance to modern audiences. The B-TV Network will build slowly to eventually include a livestream with audience community, and supplemental program materials. A true multimedia network, Channel-B.TV will include radio and podcast programming alongside TV and movies. Dedicated blogs and forums will provide more information and opportunity for participation. 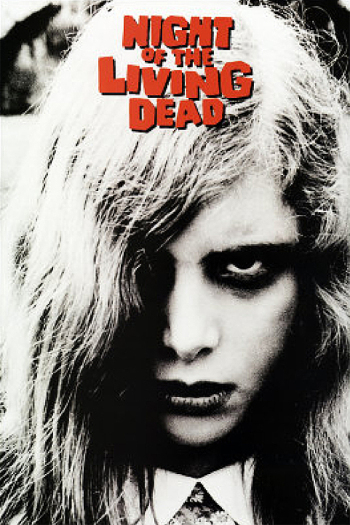 George Romero's Night of the Living Dead was first released in 1968, and proved controversial for many reasons. It went on to become one of the most successful independent films in movie history.